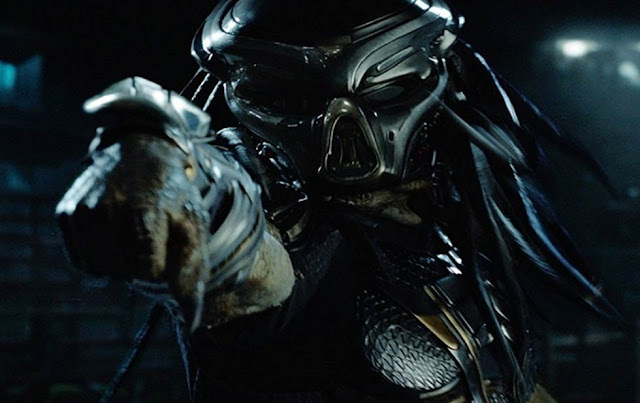 Home filem 2018 Filem antarabangsa SembangFilem Trailer Filem Saksikan Trailer Filem The Predator - Predator Baru Diperlihatkan! Saksikan Trailer Filem The Predator - Predator Baru Diperlihatkan! "From the outer reaches of space to the small-town streets of suburbia, the hunt comes home in Black’s explosive reinvention of the Predator series. Now, the universe’s most lethal hunters are stronger, smarter and deadlier than ever before, having genetically upgraded themselves with DNA from other species. When a young boy accidentally triggers their return to Earth, only a ragtag crew of ex-soldiers and a disgruntled science teacher can prevent the end of the human race." Barisan pelakon filem The Predator termasuklah Boyd Holbrook (Logan), Trevante Rhodes (Moonlight), Jacob Tremblay (Room, Wonder), Keegan-Michael Key (Tomorrowland), Olivia Munn (X-Men: Apocalypse), Sterling K. Brown (This is Us), Alfie Allen (Game of Thrones), Thomas Jane (The Mist), Augusto Aguilera, Jake Busey, dan Yvonne Strahovski (The Handmaid’s Tale). Black, yang turut bertindak sebagai penulis skrip bersama Fred Dekker, telah mengesahkan yang filem terbaru ini merupakan kesinambungan daripada dua filem Predator terdahulu dan bukannya filem reboot untuk siri berkenaan. Filem asal Predator diarahkan oleh McTiernan dan dibintangi oleh Arnold Schwarzenegger. Seterusnya dihasilkan pula sambungan filem iaitu Predator 2 pada 1990, sebelum filem khas crossover bersama francais filem Alien, iaitu Alien vs. Predator dan AvP: Requiem. Pada 2010, Nimrod Antal mengarahkan filem reboot yang diberi tajuk Predators. Filem The Predator akan ditayangkan di pawagam bermula 14 September 2018.